The Economist has two interesting articles on Bitcoin this week (here and here), as well as a blog entry (here). Coloured coins and the potential development (and other uses) of Bitcoin’s technology are mentioned. A modicum of inflation greases the system by, in effect, cutting the wages of workers whose pay cheques fail to keep pace with inflation. Don’t they see the problem with this sentence? Inflation fuelling inflation anyone? 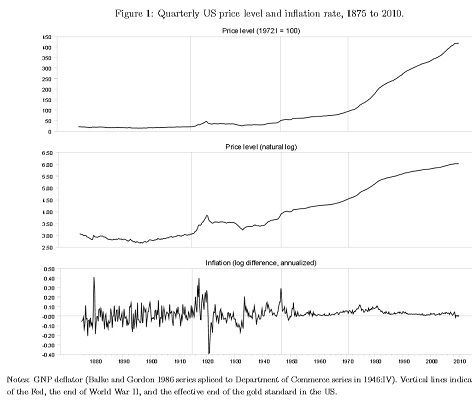 What’s more, the idea that modern central banks with their loosey-goosey printing presses have generated an epidemic of inflation is a little nuts; if anything, rich-world central banks have become too effective at protecting the value of their respective currencies. While I agree that Bitcoin isn’t perfect, its critics will have to find other angles of attack.